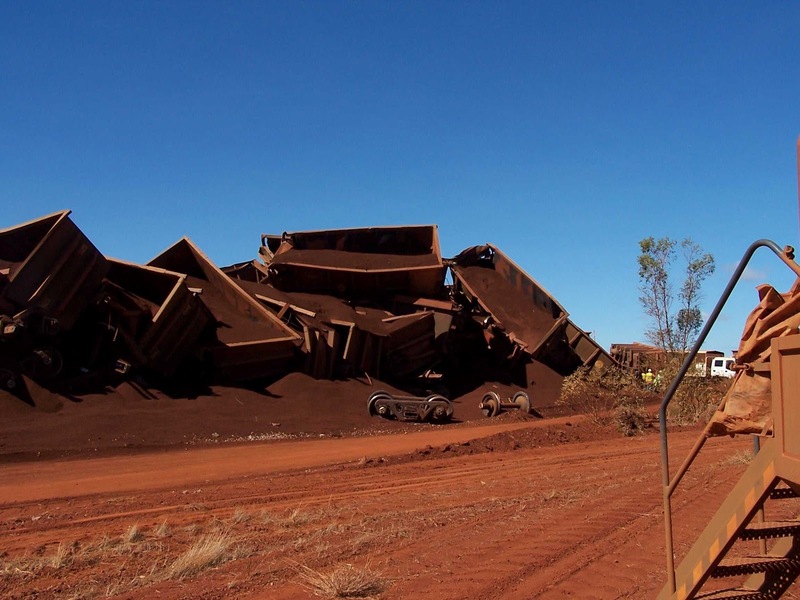 fleet number on the loader suggests that it ain't BHP Yandi, maybe the next door neighbour? 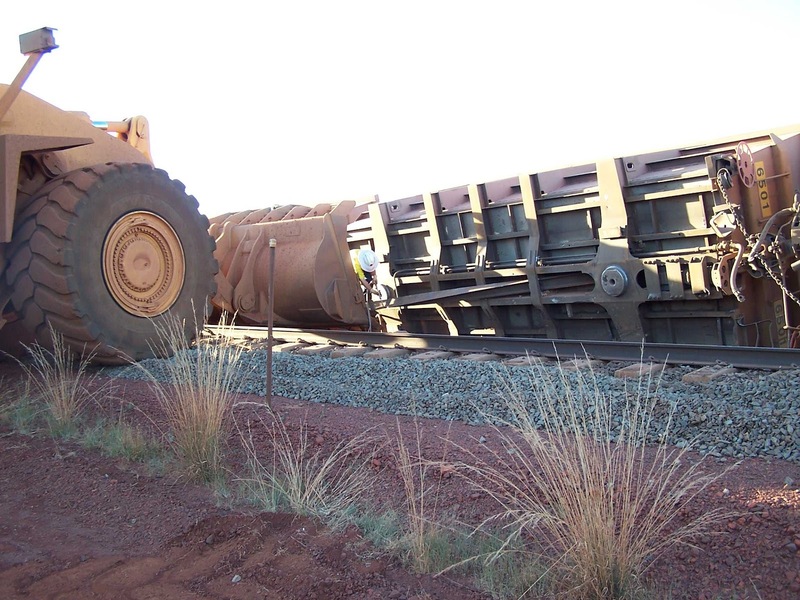 That looks like an fmg train. Im sure of it. 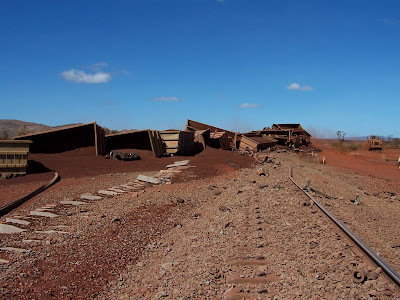 Actually looks like the line going to Yarrie/Shay Gap/Nimingarra. 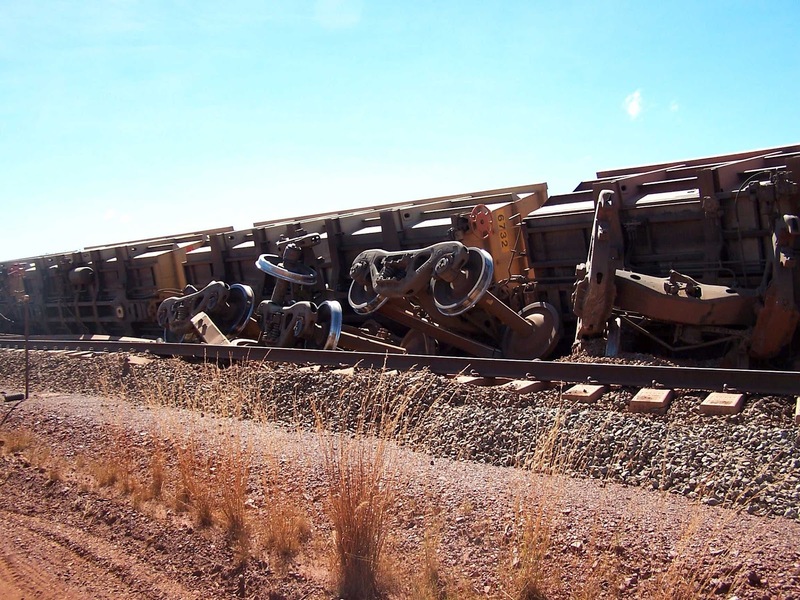 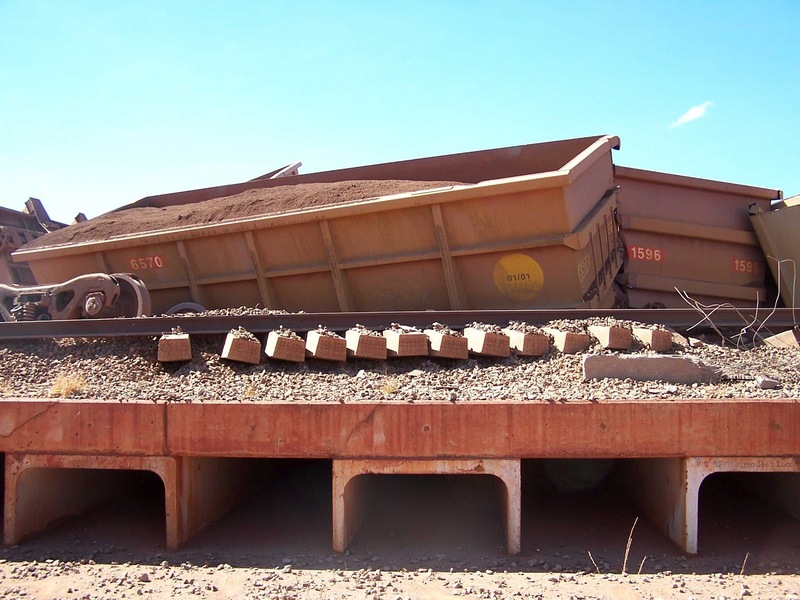 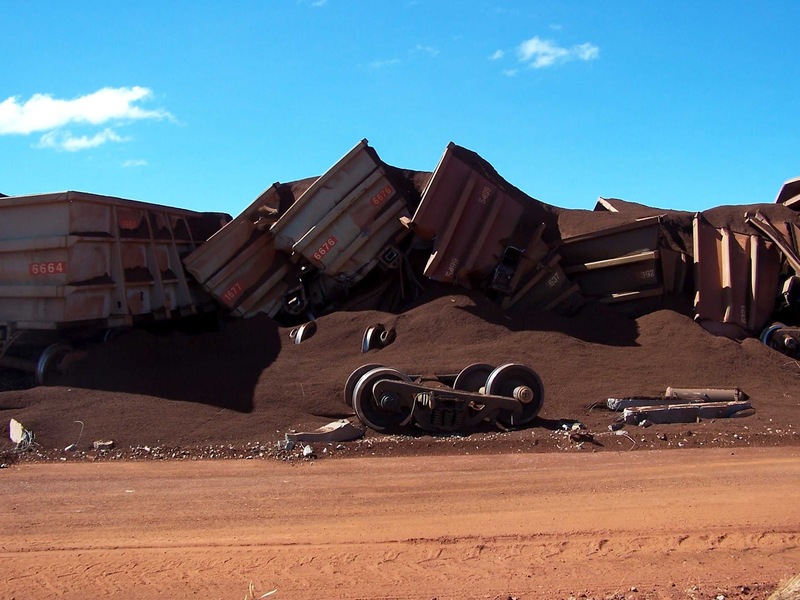 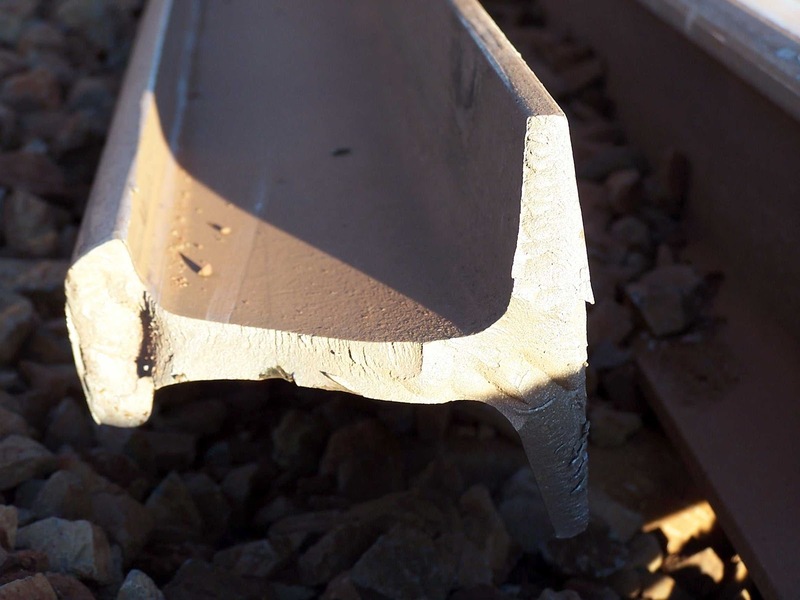 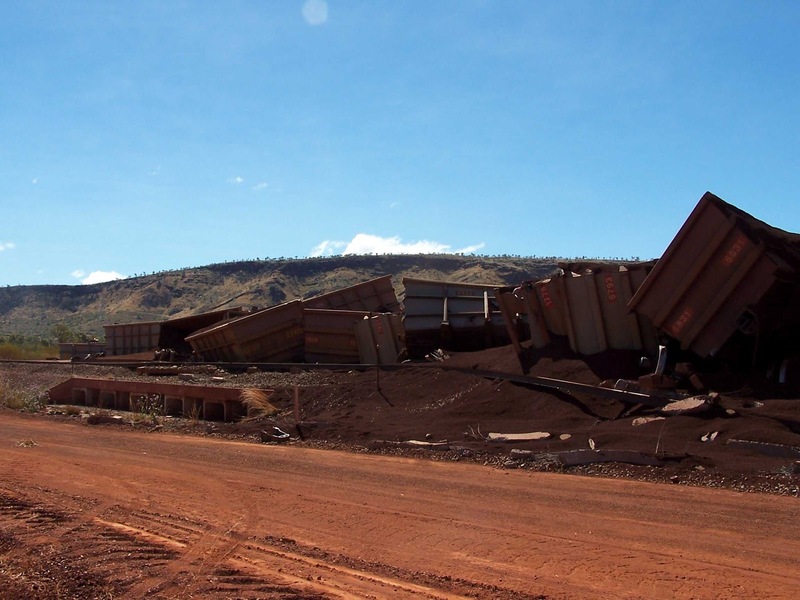 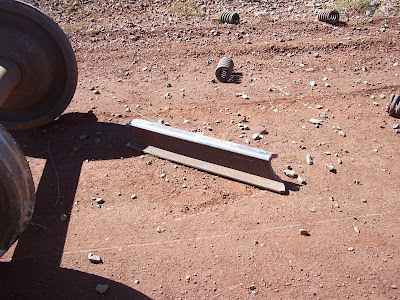 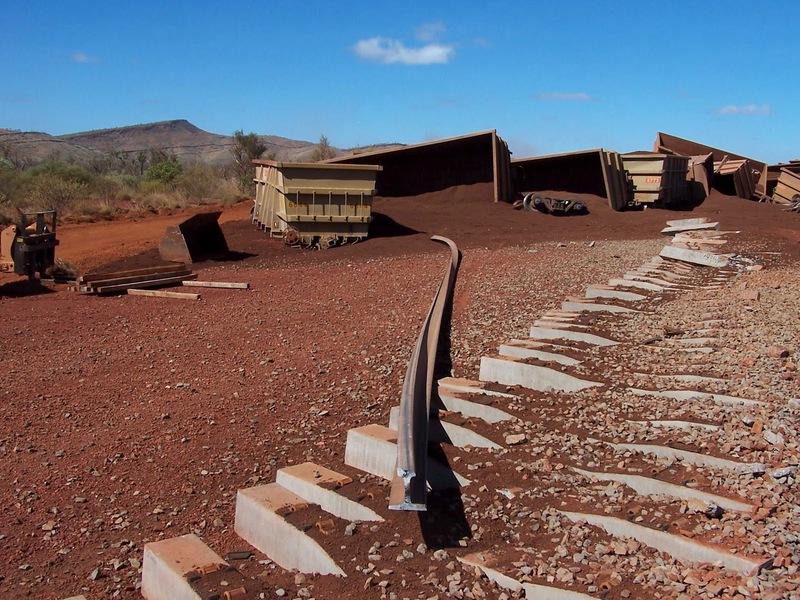 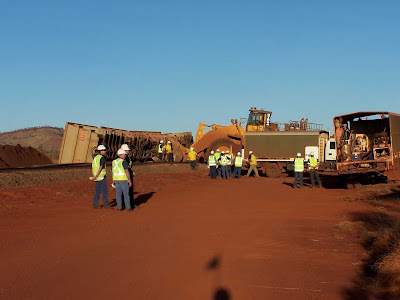 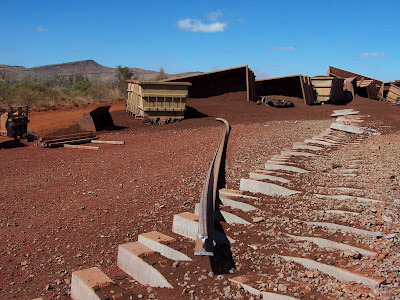 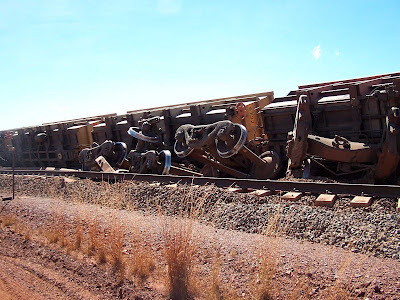 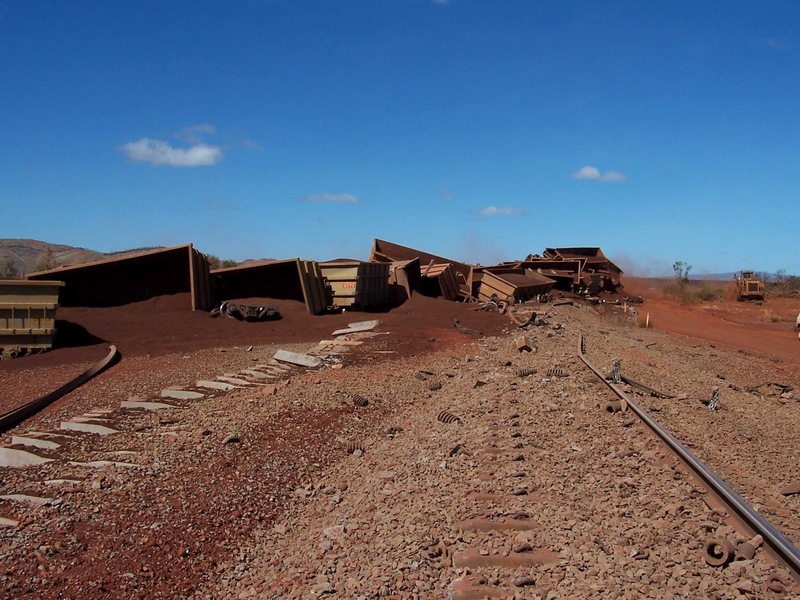 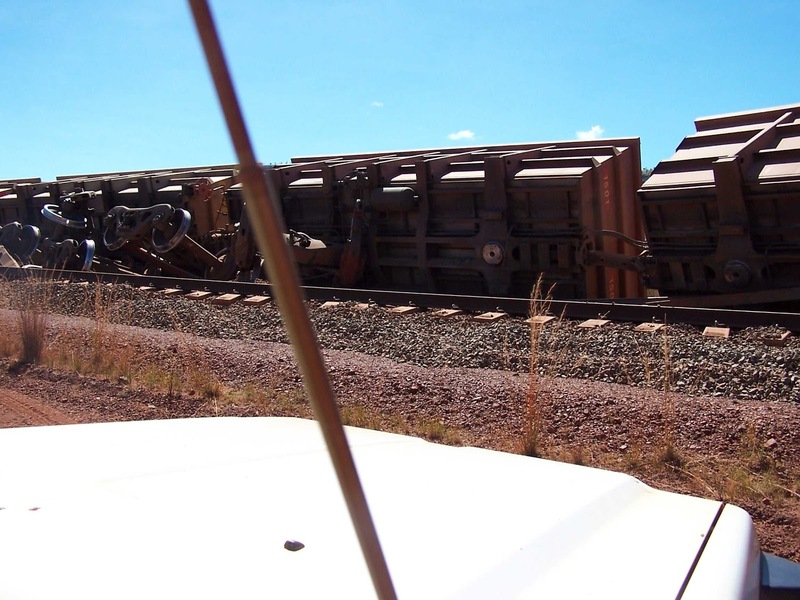 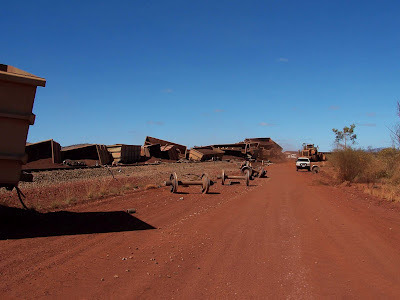 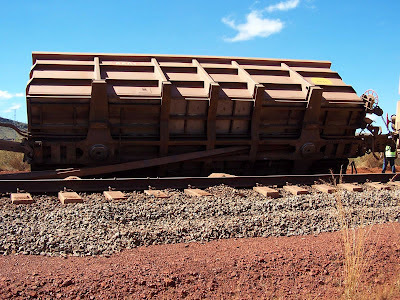 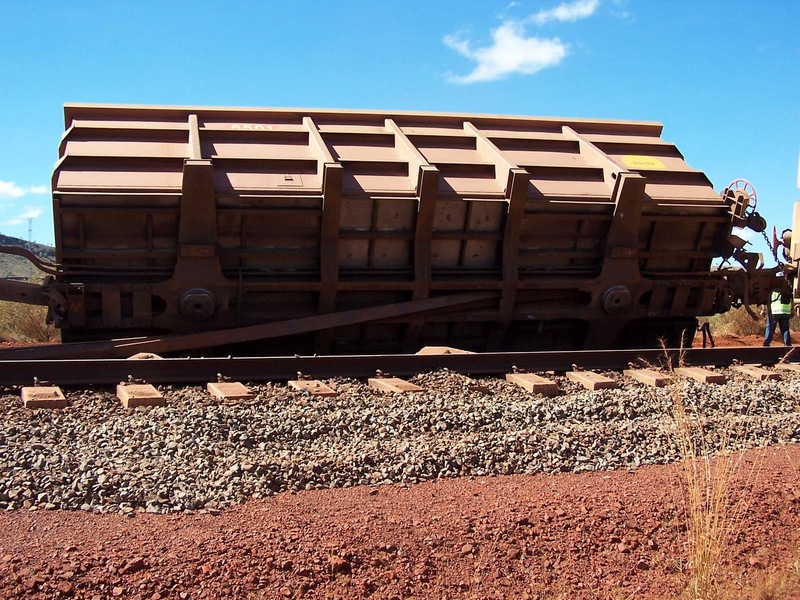 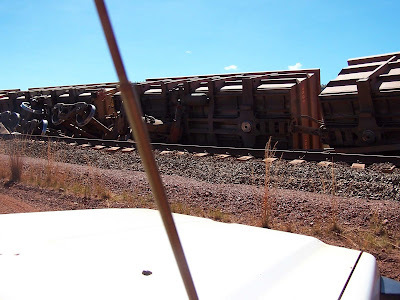 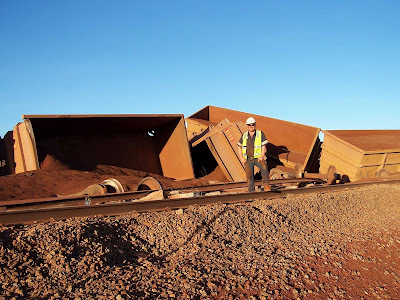 This is hamersley iron, yandi line, happened around 2003 due to a bolster fatigue failure and subsequently ploughed up around 1km of track.